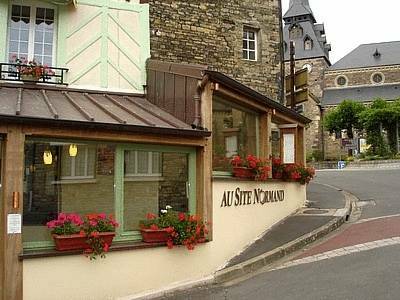 Here is the list of the hotels near Saint-Germain-du-Crioult. Book your hotel near Saint-Germain-du-Crioult today, Monday 13 May for the best price, reservation and cancellation free of charge thanks to our partner Booking.com, leader in on-line hotels reservation. Below here is the list the 50 closest hotels of Saint-Germain-du-Crioult, sortable according your criteria. You will find the position of these accommodations on the Saint-Germain-du-Crioult hotels map. Le Beverl’inn is located in Flers, in the Orne region of north-western France. Just 400 metres from Flers train station, it offers en-suite accommodation with free Wi-Fi internet access. Each room at the Beverl’inn is equipped with a work desk, flat-screen TV and a radio. The Hotel Beverl’inn’s restaurant features a fire place and offers regional cuisine. Guests can also relax in the hotel’s bar and a self-service breakfast available upon reservation. The ibis Styles Flers is located near the town centre of Flers and the Musée du Château de Flers. The hotel offers free Wi-Fi internet access and a fitness centre. The air-conditioned guest rooms at ibis Styles Flers include a flat-screen TV and a desk. They each feature a private bathroom with a shower, free toiletries and a hairdryer. Breakfast is served every morning at ibis Styles Flers, and drinks can be enjoyed in the on-site bar. The hotel also offers a 24-hour reception with a business corner, where a fax and printer are available on request. Free private parking is available and Eglise St. Germain is 1 km from the hotel. The property is 56 km from Caen and 27 km from Bagnoles-de-l’Orne. Set in Viessoix in the Lower Normandy region, One-Bedroom Holiday Home in Valdalliere is a 3-star property boasting free WiFi. Guests staying at this holiday home have access to a fully equipped kitchen. The holiday home has a TV and 1 bedroom. Saint Lo is 47 km from the holiday home. Deauville – Normandie Airport is 106 km from the property. Located 4 km from the centre of Flers, ibis budget Flers Grands Champs is 2 km from Flers Train Station. This hotel offers free WiFi access and guest rooms with a flat-screen TV and a desk. Each room features wooden floors and a private bathroom with a shower. This property is 4 km from Houlme Golf Course and 18 km from Domfront. Free parking is available on site. 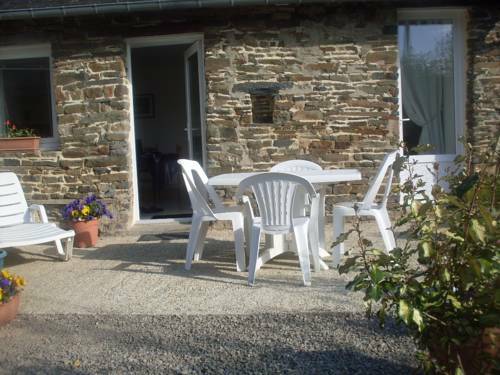 Located in Sainte-Honorine-la-Guillaume, The Old School House offers a garden and a terrace with outdoor furniture. This spacious house has 5 bedrooms and a living room with a flat-screen TV and a fireplace. The bathroom features sloped ceilings and has a bath. A washing machine and a tumble dryer are at guests’ disposal. The kitchen is equipped with a fridge, a microwave and a toaster. A stove, an oven and barbecue facilities are also available. This property is 33 km from Argentan and 21 km from Flers. Free parking is available on site. Below here is the hotels map of Saint-Germain-du-Crioult. Names and details of Saint-Germain-du-Crioult hotels can be shown on the map clicking on the prices icons.